Large House, with an area of ​​250 m2, on two floors, the house offers five bedrooms with shower, bath & wc including a master suite with views of the Seine on the ground floor! Its star distribution allows independent access to the five rooms and can accommodate a family or friends seeking a haven of peace less than an hour from Paris. A vast living room communicating with dining room, bar and American kitchen offers a space of life for evenings by the fire or lunches on the terrace Seine side. With its breathtaking view of the white chalk cliffs and the river, we are in the heart of the charming village of Moisson, 200 m from the Café de la Place where baguettes and croissants are waiting for you every morning. Just opposite, a real Breton creperie with a nice terrace. A launch located at the bottom of the garden will allow you to paddle on the arms of the Seine in the middle of the large birds and landscapes that Monet painted from all angles since his famous Boat Workshop. Because your well-being is at your fingertips at La Moissonnière! We offer you in a space dedicated to well-being, Shiatsu, Thai massages with hot oils, hot stone massages, Four Hands massages, and foot reflexology. These massages can be done solo or duet. For more information, you can contact us, or inquire directly on site after booking. Possibility of evenings stages or seminars. We will be present at your arrival and departure, the time of knowledge and give you all the necessary information, for a fully successful stay. It was a pleasure to host Waleed and his family in my home. Communication ran smoothly and he was a perfect guest! This property is very spacious and the hosts were relaxed and welcoming. Great to watch the boat traffic - indeed the only noise was the occasional boat sailing up or down the Seine. The location is 10 mins away from a beautiful lake/beach/watersports/sport. Also close to Giverny - recommend the Monet Garden. It was perfect for our family holiday. Very close to Giverny. We had a day in Paris and Versailles . Both easy to drive to. Many thanks to Evangeline . 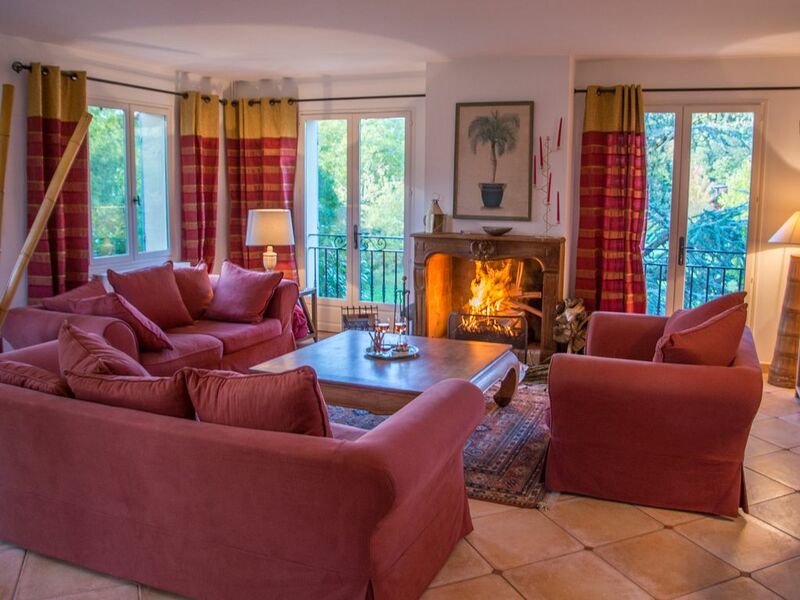 One of the best vacation rentals we've experienced in France. The house was exactly as shown in the photos. It is spacious and fully equipped. The house is large enough to accommodate two families and the beautiful spacious garden overlooking the Seine is very peaceful. As beautiful as the property was, it was the warm welcome, friendliness and care we received from our hosts, David, Evangeline and Philipine that made our stay spectacular. David took time out on a Sunday to show us some of the highlights of Moisson, Evangeline made us feel so welcome at the local brasserie where we watched the Eurocup finals and also took us to see houses for sale in Moisson. Philipine is a multi-talented bundle of energy who made our children feel totally at home and showed them the fun activities at the Ile de loisirs des Boucles de Seine. Highly recommended to anyone who wants a special experience in the countryside of France - we hope to be back soon. 300 m from the house, a 314 acre nature reserve offers golf hiking or cycling several tens of kilometers. • With the free ferry that connects Harvest at Vetheuil, you can cross the Seine to your market, visit this beautiful village and its beautiful church of the sixteenth century or take the glider on the Chérence tray! Following the footsteps of the impressionists, discover Giverny (14 km), the historic village of La Roche Guyon with its castle, its garden of the eighteenth century, its cave dwellings. Les Andelys other land with great painters Poussin, Signac, Pissarro and the famous Chateau Gaillard.